Born in Minnesota, Dan spent time in the Navy before committing his life to Christ. Shortly after that, he felt called to be a pastor and trained at Calvin College Seminary. He was a pastor in Iowa before coming to Southern Heights as our associate pastor in 1997. In 2000 Dan became the Senior Pastor and is currently active in the Kalamazoo area in many discipleship and service areas. Jeff has attended Southern Heights since the age of 5 years old. 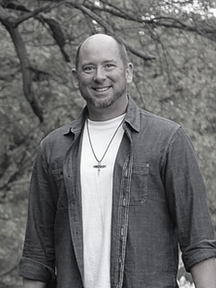 After graduating with a degree in business management and compute science from Calvin College, he began leading in worship and music in 1992. In 2000 he added administrative roles utilizing the “business side” of his brain again. Then as of 2017 he became the Executive Pastor which in addition to planning the worship gatherings, he now leads the staff at Southern Heights which also includes being the church treasurer. He is married to Melissa Baas for 22 years and has three daughters who are 19, 17 and 12. Deb joined the staff of Southern Heights church in 1995. 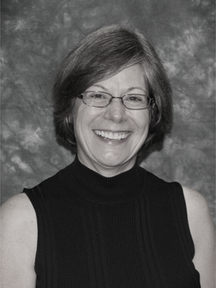 Born and raised in Kalamazoo, she attended Central Michigan University and KVCC. She is married to Tom and they have 3 married children, 4 grandchildren and a much loved Labrador Retriever named Jade. Alyssa was born and raised in Portage Michigan where she met her husband Chris. Alyssa and Chris have a 4-year-old daughter and 1-year-old son. Alyssa earned a bachelor’s degree in social sciences from Michigan State University and master’s degree in Social Work from Western Michigan University. 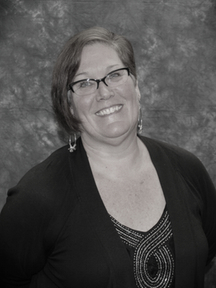 She supports children and families within the community as an outpatient therapist. Alyssa joined the Southern Heights staff to assist the Life Group ministry. Alyssa looks forward to opportunity to support, grow and learn with the individuals and groups that create the Life Group Ministry. Melissa Baas loves to teach children. She leads our Children and Family Ministries for children from birth through 5th grade. 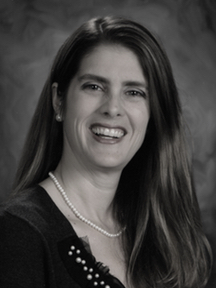 Melissa has a degree in Education specializing in Early Childhood Development and also teaches 1st grade at Kalamazoo Christian Elementary School. Her experience and passion for children will help them to know Jesus and grow in their knowledge and love for Him. Born and raised in Kalamazoo, Ken has been married to his wonderful wife, Karen (Lovie) for over 35 years. They have two sons, Scott and Alex. By listening to God’s leading during a casual conversation, Ken and Karen started the middle school youth ministry at Southern Heights over 25 years ago. Since then, Ken has continued working with middle school and eventually both middle and high school. Ken joined the SH staff in 2008. Judy grew up in South Haven and moved to Kalamazoo, where she met and married her husband, Gregg. Jesus has been Judy’s rock through both times of blessing and times of struggle. If you want to hear more about that, just ask her. Spending time with family is important to both Gregg & Judy, and it brings joy and richness to their lives. Working at Southern Heights has allowed Judy to use the gifts God has given her in gratitude to Him and to minister to others. “Team Leader” is a great job title for me, as I have wonderful teams of people who help keep Southern Heights clean, safe and beautiful. From Custodial, Building & Grounds, Green/Weed and Security teams they all do a wonderful job in their respective areas keeping this place in great shape. I enjoy making a team fit together and organizing work schedules plus keeping on top of the various aspects of maintaining our building and grounds. Married for 44 years, with 3 kids, 5 grand kids and 4 grand-dogs, I keep busy both at church and at home. If you see something that needs attention by my teams, please feel free to communicate with me. 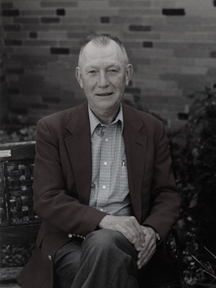 Justin “Krum” Kromminga has served as the Outreach Team leader for decades. He faithfully oversees a team of dedicated people who care for missionaries that we support around the world. “Lovie” lives her nickname – she loves people. She leads our SHenanigans team. This is the team that puts on our large “all-church” fun events. Just like the name implies, it is a fun time for people to get to know each other and laugh and spend time together. We love “Lovie”. 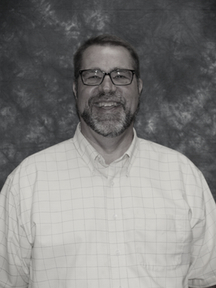 Al Olson is in charge of our Adult Education Ministries. He leads a team that makes sure there are plenty of Bible study opportunities for those who want to really “dig-in” to the Bible. He finds many engaging topics to study and equally engaging presenters and moderators to lead us through those studies. His love for Jesus shows in everything he does. Matt Smith and Betty Schieber are the leaders of SEEDS a young adult ministry for those 18-29. They are fun and love to get to know the young adults and help them navigate these years. Join them at SEEDS if you are 18-29. You will be glad you did.